In my previous post I told of how Merlin-Translation.com is stealing posts wholesale from this and from other blogs. As you can see from the screenshot, they also reposted my warning against them! They are obviously using a script that automatically lifts articles from other sites. Not very clever, indeed. Ha. These sites are completely automated. I doubt its creator EVER looks at the content of articles. It's just set up to react to certain RSS keywords and pull the content in. One solution is to set your feed to "Intro only" or "Summary only", or something like that - can't remember if Feedburner has this option, I am sure it does. This is a matter of debate, because then legitimate users will only get a few lines of your post and then will have to click to your site to see the full article. On the other hand, the sploggers will not get the benefit of your entire content, and you will even get a backlink of sorts! That's all assuming they are stealing your RSS feed, which is highly likely. I think this is happening because of some automatic script software. Have you ever seen that you can see the same translation services jobs in many websites. 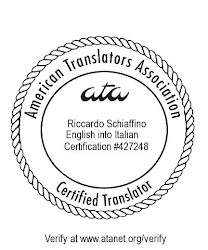 What about a translation company publishing something yours (i.e. mine, specifically "Building a Localization Kit") without quoting your name, but declaring is its own work? Silly? Maybe, they could be easily debunked if you wish. Risky? Not at all, one should have the means to pursue that company. Smart? Definitely. I know about the summary only, but I don't want to do it: I dislike it when I find similarly truncated blogs in Google Reader, and I don't want any reader I may have to suffer because these morons stole my content. A good suggestion I received, was to give that site a negative vote in the "Web of Trust", in the hope that others may do the same, and banish that site to that twilight zone of web sites inhabited by pseudo-viagra providers and the like. That is too funny! Anything we can do to help? I will post a negative vote. I'm sorry, but I don't understand your comment at all.